Creative people develop, discover, invent, and/or conceive new books, movies, toys, tools and a multitude of other things. Creative people even find ways to improve, simplify, and/or advance these original creations. Greedy people take these things and simply copy them. The runaway success of M.U.S.C.L.E. brought greedy people out from beneath their stones. These people had to know that M.U.S.C.L.E. would be an easy toy to copy. It had no moving parts, no painted features, and no identifiable characters. 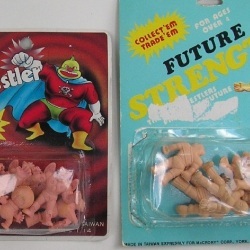 To a child, what would be the difference between a flesh M.U.S.C.L.E. bought in a 4-pack to a flesh M.U.S.C.L.E.-like figure bought in a 25-cent capsule? It has been nearly impossible to know the origin of a loose counterfeit figure, most often they seem to be from 25-cent capsules. This assumption is based on people often selling a lot of M.U.S.C.L.E. figures with one or two counterfeit figures, probably from a 25-cent capsule. When several counterfeit figures appear in a lot of M.U.S.C.L.E. figures, the assumption is that they were originally purchased as a counterfeit package of figures. 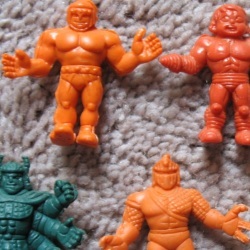 One of the joys of collecting Mattel’s line of M.U.S.C.L.E. toys is that it is filled with a sense of mystery. Counterfeit M.U.S.C.L.E. figures have been such total mysteries that even the most experienced collectors know next to nothing about them. The goal of Art 100 is not only to showcase the curiosity of counterfeit M.U.S.C.L.E. but to serve as a repository of information. THANKS for the memories, I had quite a few of these also. Auction Watch #37 « University of M.U.S.C.L.E. 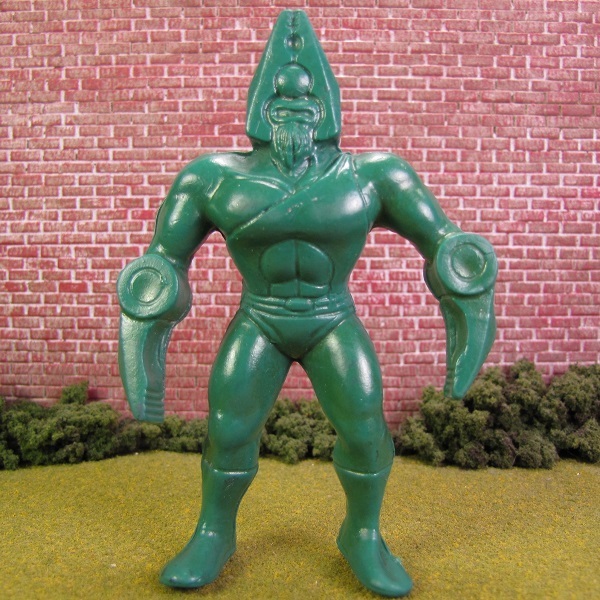 Auction Watch #39 « University of M.U.S.C.L.E. Counterfeit Packaging « University of M.U.S.C.L.E. 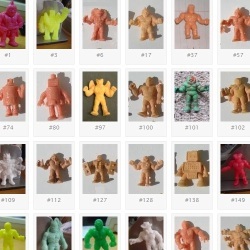 Counterfeit Figure Typology « University of M.U.S.C.L.E. Frankenstein-like Amalgam Figures « University of M.U.S.C.L.E. Frankenstein-like Amalgam Figures – Update « University of M.U.S.C.L.E. Submissions Needed! Help Name These Freakish Figures! | University of M.U.S.C.L.E. Wolf Voigt Custom Figure Review | University of M.U.S.C.L.E. Art 100 Counterfeit Figure Typology Update Metallic Bootleg | University of M.U.S.C.L.E.